Width 50cm, Height 145cm, Depth 35cm. 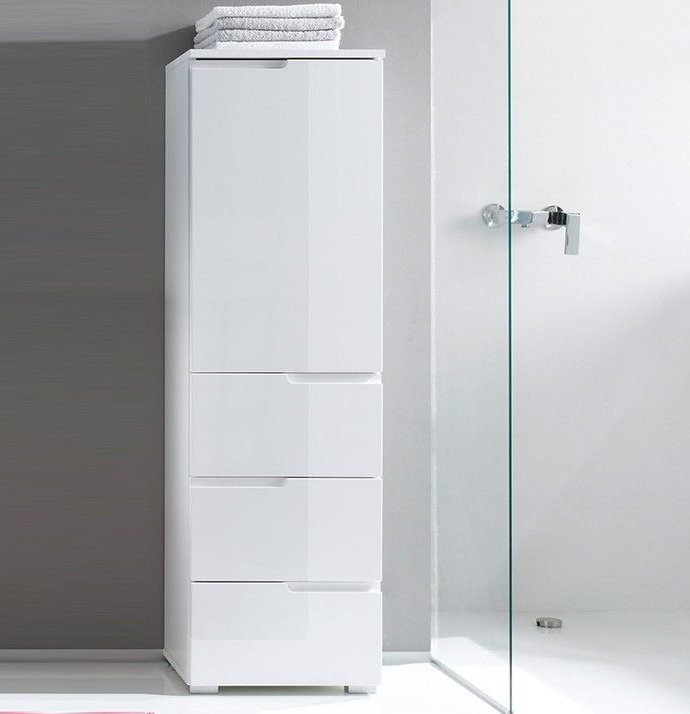 Cellini White Gloss Slim Tallboy Storage Unit is an ideal, stylish storage solution for your bedroom, bathroom, lounge or patio. 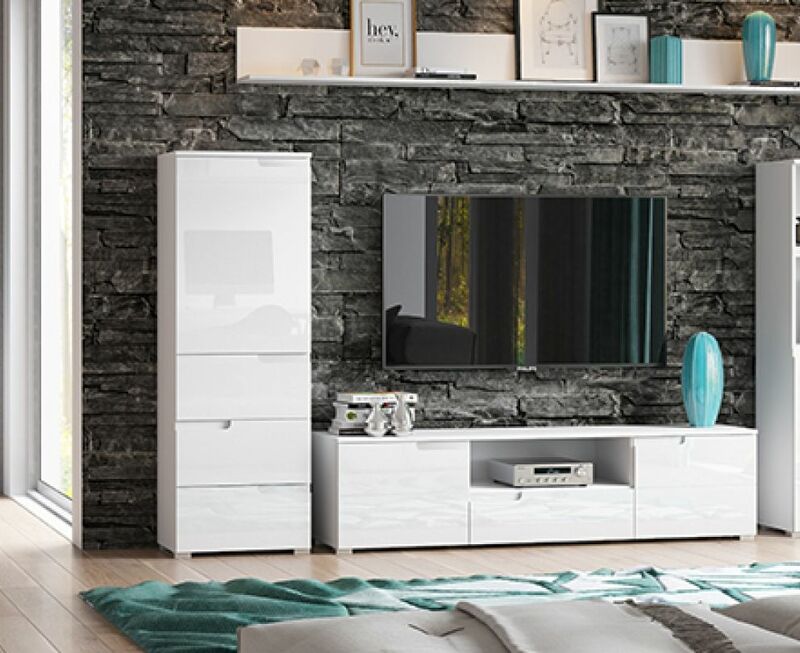 This stunning tall white gloss storage unit is specially manufactured for compact living areas like galleries or bathrooms, offering plenty of storage options without occupying flooring. 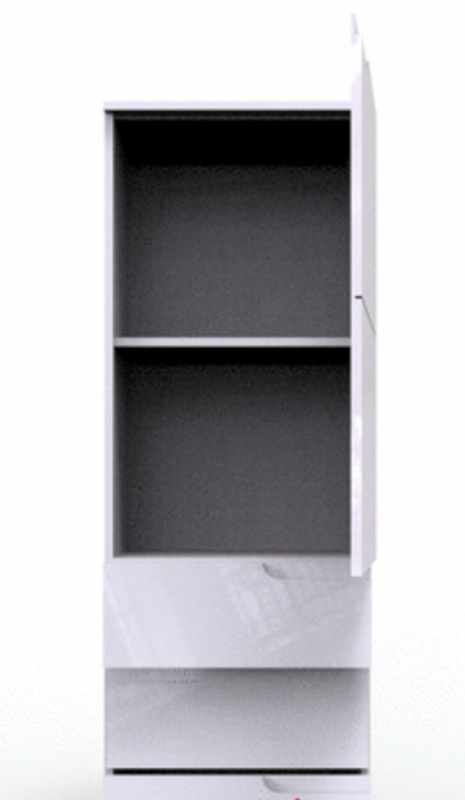 This slim piece of furniture has white gloss fronts with matt white sides and top. With three drawers, one internal shelf and one door, white gloss storage unit is something both pleasing to the eyes and practical for usage. You can store books, bathing items, laundry items or other daily use stuff in this ideal storage solution.